Volkspeed provide a complete range of services for any make or model of car, we pride ourselves on quality and expert workmanship at a competitive price. Our services cover all vehicle technical and cosmetic problems, MOT testing, air conditioning maintenance and repairs. At Volkspeed our workshops utilise the most up to date equipment and support all makes and models. Our aim is to give you the best possible performance from your vehicle. Volkspeed undertake routine servicing on all makes and models and are able to carry out these services at a competitive price, without affecting warranty. Each service is carried out in accordance with the manufacturer’s servicing schedules and the data from the service is recorded. Every service includes a routine inspection of safety critical items. 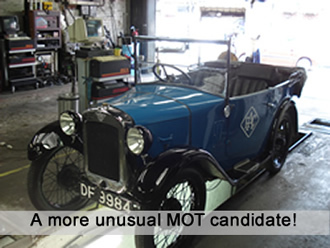 We are experienced MOT testers, having been accredited since 1980. All our MOT tests are now carried out using the latest technology wheel play and suspension wear detectors, meaning that problems can be detected earlier than using conventional methods. We can undertake any work necessary to ensure that a pass certificate can be issued in the event of an initial fail. Providing the vehicle does not leave our premises, there will be no fee for a retest. 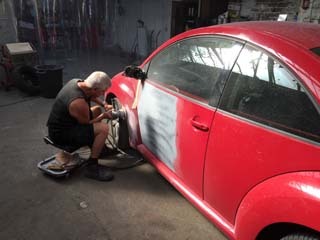 At Volkspeed we cover all aspects of electrical and mechanical repairs to any make or model. Minor repairs include worn out suspension, steering or breaking components leading to MOT failure or failed electrical components including alternators and starter motors. At the other end of the spectrum we undertake engine and gearbox rebuilds and replacements at competitive prices. We complete almost all repairs onsite unlike other firms who sub-contract large repairs resulting in an overall price increase. Many people have a deep affection for their car and are naturally reluctant to abandon it to a scrap dealer on account of a necessary repair exceeding the resale value. In these situations we are prepared to fit reconditioned or even second hand parts (at the customer's risk) thereby rendering an uneconomical repair feasible - an option which would not be entertained by a main dealer. 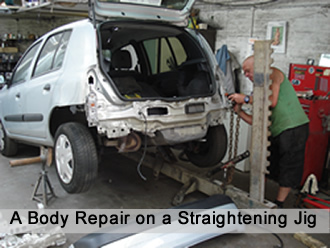 Our fully equipped body shop has been running for over 20 years and has had extensive experience carrying out all types of work from scuff and scratch removal to chassis straightening, panel replacement and major repainting. If your car is brought in by a recovery firm we can keep it on our premises until an insurance assessor can come out to inspect the damage. 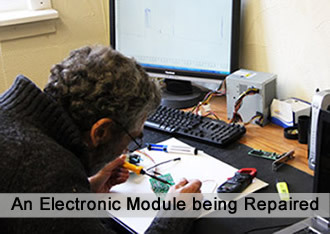 In the event that we carry out the repair there will be no charge for storage. We are happy to communicate with insurance companies on your behalf as this can save much time and frustration. We have a range of sophisticated diagnostic equipment that is able to interface with the on-board electronics present in all modern cars. 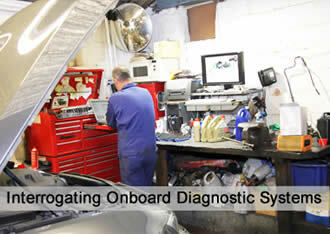 This equipment allows us to identify faults quickly and reset fault/service indicators. Earlier makes of car present no problem either, as our access to a comprehensive vehicle database means that there are no electrical problems we cannot address. 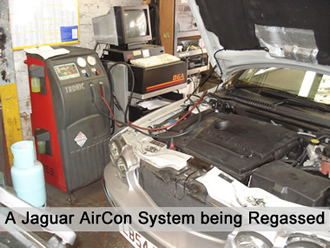 Our air conditioning team is equipped with the latest technology allowing us to carry out air conditioning maintenance and repair on virtually any make or model of car. In addition to annual checks and servicing we can undertake repairs to faulty systems and can advise on the feasibility of upgrading early systems reliant on the, now banned, R12 refrigerant to modern air conditioning gases which have a lesser impact on the environment. At Volkspeed we don't charge you for estimates and will even pick up and drop off your vehicle free of charge within the local area!